I am writing poems this month over at Bud the Teacher’s site. Today, Bud put up an image of a glass house. Bud Hunt is hosting poetry this month at his blog, using images to spark poetry. Come join us. the photo-finish always inches away. For the past few years, Bud Hunt (aka, Bud the Teacher) has been posting images throughout the month of April, asking us to be inspired to write poetry. I usually jump on board, if I can, and this month started with an image of a rock and roller on stage, so how could I resist? 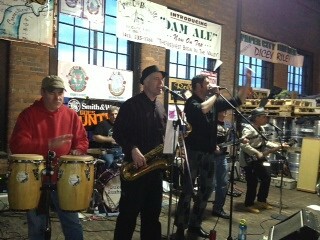 he’s stolen for this song; passion as musical crime. I also try to podcast my poems, if I can. That was from Day One. Day Two brought another image — that of folks looking for something on the waterfront. I hope you can write some poetry this month, too. Come join us at Bud the Teacher, where Bud will post something new every day. I collected many of my six word memoirs as part of Slice of Life and popped them into Animoto to create this video collage. As some of you know, I am in the midst of trying something new. Two of my classes of students have spent a week reading Choose Your Own Adventure novels, and now will begin writing their own. 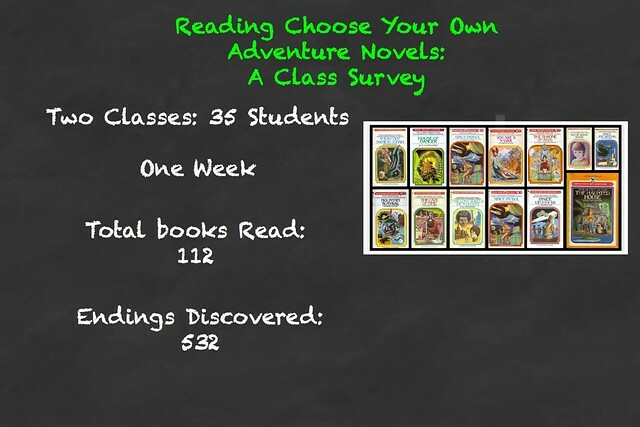 I was amazed at how many books they were reading, and I did an informal survey to gather some numbers. 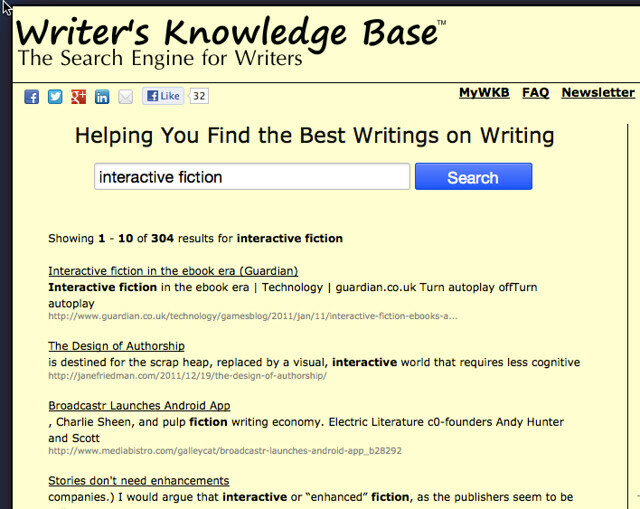 I also asked them about what they were liking and disliking about the books. I’ll admit — that last one threw me, but I was the recorder of the discussion here. Now I get the fuss. 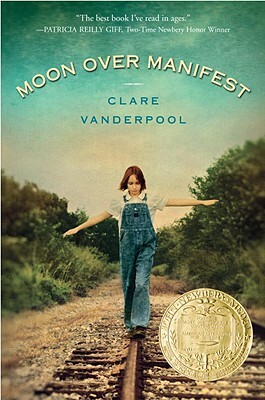 I don’t know why I never got around to reading Moon Over Manifest by Clare Vanderpool when it came out. The book has been in our house, as my son read it and said he liked it. But after devouring and savoring Navigating Early, and knowing that I would have long gaps during state testing this week, I dug out my son’s Moon Over Manifest and brought it to school. It did not take long to get sucked up into the entwined narrative stories in the novel, something that Vanderpool did with such mastery in Navigating Early, too. Here, the lively narrator — young Abilene Tucker — is sent by her father back to a town — Manifest, Kansas — as he goes off to work on a railroad. (There’s more to it than that, but I’ll let you read the book to find out more). Abilene works to find the connections that her father has to this small town, even as a local gypsy diviner tells the story of the town’s history and Abilene and two new friends try to uncover a past mystery of a German spy. Think of the story as a quilt, so that the narratives of the present and the past dance around each other, slowing weaving a tapestry of truths about the folks in the town of Manifest, and about Abilene’s life. That’s what Vanderpool does here and it’s a wonder to read and think about just how she pulls it off. Moon Over Manifest also brings to life the idea of the idea of voice, as Abilene truly lives and breathes on these pages. It was one of those rare weeks where the large chunk of quiet time for state testing came in handy. In two days, I started and finished this book, and now Abilene and the town of Manifest remain firmly lodged in my head. That’s a good thing.